SIR Fenton Ramahoye’s funeral will take place tomorrow at the Chapel of Coral Ridge Memorial Garden, Christ Church, Barbados. Several local attorneys will be attending, among them former vice president of the Law Association Hendrickson Seunath, SC. 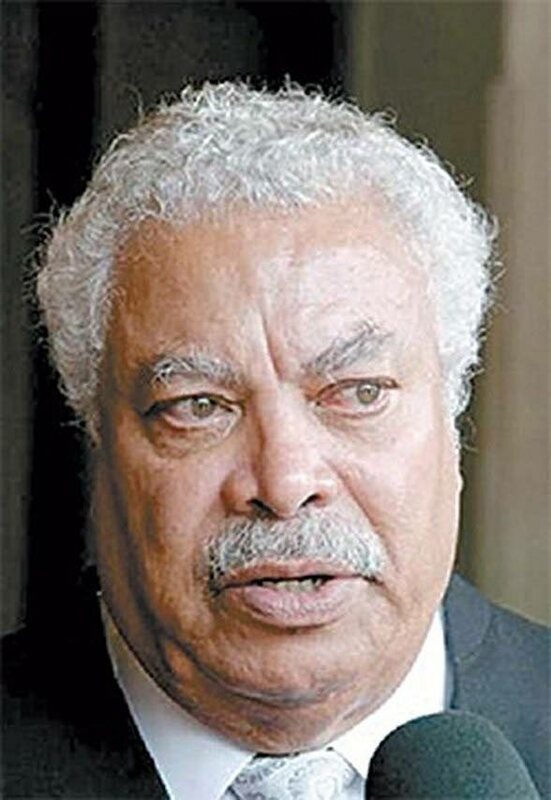 Legal luminary he was, having argued in the Judicial Committee of the Privy Council most of the appeal cases emanating from the jurisdiction of the English-speaking Caribbean, Ramsahoye, 89, lived and practised law in TT since 1976. He also lived and worked in other Caribbean neighbouring countries. Ramsahoye, 89, was Guyanese born and that country’s first attorney general. He died last week Thursday and leaves to morn wife Phyllis, sons Fenton Jr and Bernard. He was a grandfather of five. Ramsahoye worked on several public law cases with former attorney general Ramesh Lawrence Maharaj, Seunath and former AG Anand Ramlogan. One such case which went to the privy council came to be known as the Trinity Cross case which was filed by the Maha Sabha and other organisations. The outcome resulted in government changing the Trinity Cross to the Order of Trinidad and Tobago to represent the nation’s highest award. According to a notice published yesterday in several online and print newspapers in Barbados, viewing will take place between 4 pm and 6 pm today (Friday) at Lynhurst Funeral Home, Christ Church. The funeral leaves the funeral home tomorrow at 10 am for the chapel of Coral Ridge Memorial Gardens Christ Church. Reply to "Sir Fenton’s funeral"